I stopped reading Stephen King after the 80s. Partly that’s because I just wasn’t reading as much as I used to, but it was also because King seemed increasingly, after his heyday in the 70s, to have become a sloppy storyteller. (Misery, that perfect jewel of a suspense thriller, was a delightful exception.) It’s possible that he got his act back together while I wasn’t reading him, especially in that series of novels about the eclipse that included Dolores Claiborne, but I haven’t read those and I really can’t say. What I do know was that the last several King books I’d read prior to the 90s, Misery excepted, had been a chore to read. In his nonfiction work On Writing, King confesses that he more or less makes up his novels as he goes along, starting with an interesting situation and working toward a vaguely imagined resolution with no concrete idea of how he’s going to get there. This isn’t necessarily a bad thing. I think I’ve seen more novelists admit that they work this way (George R.R. Martin is another) than admit to actually plotting their stories in advance. The problem is that too often King’s books feel like they were written this way, with King spending dozens or even hundreds of pages vamping until he figures out where he’s going, and the result is that a lot of his novels are bloated and wordy, limp and formless when they should be taut and compelling. I had worried that King had only grown worse since I’d stopped reading him. The only novel that I’ve read by him from the last 20 years — Desperation, which I wrote about here a few months ago — seemed to confirm my worst suspicions. Despite a good start, the plot wandered and became uninteresting even as the characters, who had started out as vivid creations, degenerated into plot devices. This, I feared, was the direction in which King had been heading. Under the Dome, published in 2009, proves me wrong. Not only is this a good novel, it’s a novel that can stand with the best that King has written. If it isn’t quite the brilliant psychological thriller that The Shining was or the masterpiece of precision that was Misery, it’s more ambitious in many ways than either, much more on the scope of The Stand. King bites off a hell of a lot with this book and he manages to chew pretty much all of it. It’s epic in scale — my Nook assigned it 833 pages and Amazon says that the trade paper edition is 1,088 pages — but it isn’t bloated at all. Every word in this one counts and every sentence contributes to character development and moving the story forward. The premise is simple and high concept: A small Maine town suddenly finds itself surrounded by an invisible, unbreakable force field that allows no one to enter or leave. But the ramifications of that premise are complex — this is a town that contains several hundred people, after all, and each has a separate life that is disrupted by the dome’s appearance — and King doesn’t shy away from working through this complexity in scrupulous detail. Yet King explicates those details so carefully and clearly that the story never feels complex and King manages his huge cast of characters with marvelous dexterity. I was rarely at a loss for who the characters were or what their relationships were to one another and to the story itself. Every time a character reenters after an absence of more than a chapter or two, King deftly works in a detail to remind you who they are and, if they’re a really minor character, he just comes right out and tells you. Every now and then he drops into a present-tense, omniscient-author mode and sorts carefully through the current positions of all his principle actors, just to make sure you know what they’re doing. This is the kind of thing that only an author who has been writing ambitious popular fiction for several decades can get away with and King does it as well as I’ve ever seen it done. The plot is a marvelous clockwork mechanism, tight, suspenseful, and intricate, and it never ceases to move forward. It’s hard not to keep turning the pages (or swiping the screen or pushing the button or however you propel yourself through your text delivery system of choice) for the book’s full length. (And it’s an indication of how I’ve been affected by reading all those George R.R. Martin novels earlier this year that now, when my Nook tells me that a novel is going to be 833 pages long, I think, “Oh, that’s not so bad.”) King admits in an afterword that he had an editor help him strip the book down from an even longer first-draft and make suggestions on how to speed up any sections that dragged. I think it’s a mark of King’s continued seriousness as a writer that after all these years he’s willing to listen to an editor, something that for quite a while it seemed like he wasn’t doing. I have a few quibbles with the technical details of the dome itself — the final description of it in the book’s last pages suggests that there might have been a very easy way of dealing with it that for some reason nobody ever thought of — but in the end these quibbles don’t matter because the dome is essentially a macguffin, a way of getting the characters into a metaphorical pressure cooker where events can become extreme without becoming unmotivated or unbelievable. And the characters are very nicely drawn, especially the chief villain. King understands that the best villains aren’t those who are trying to act villainous but the ones who see themselves as righteous people beset on all sides by villains like you and me. It’s their naked self justification that makes them hateful and the villain of this book is as nakedly self justifying as any character King has ever created. 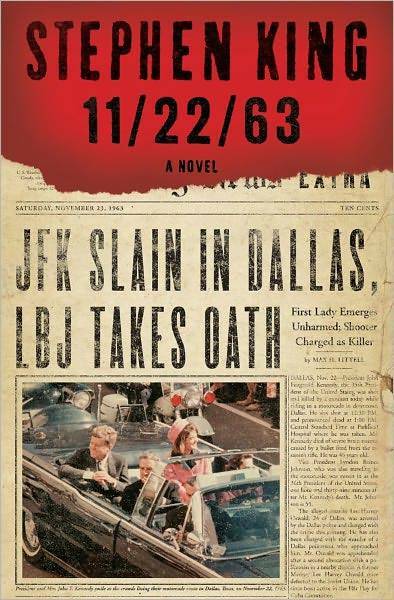 I’m excited about King’s upcoming 11/22/63, an epic novel about the Kennedy assassination. If King handles that one as well as he handled this (and I sure hope he works with the same editor), it will be a knockout. But anyone who wants to read a thrilling King epic doesn’t have to wait until that book is released in November. Under the Dome is here now and once you start reading it it’s unlikely that you’ll want to stop. And it reads so quickly that I doubt that you’ll have any problem finishing it before the next book comes out. Posted in book reviews, books, reading, science fiction, Stephen King, thriller, under the dome and tagged book reviews, books, reading, Stephen King, thriller, under the dome. Bookmark the permalink. Book #3? It’s March and I’m only up to Book #3? Okay, so I’m not exactly off to an auspicious start in my 2011 reading project, but at least I didn’t make any promises on how many books I planned to read before year’s end. In late January, after I’d reported on the two Scott Spencer novels I read that month, I found myself wavering on what I wanted to read next. I picked up several books, read a few chapters of each, and put them aside, unsure if I really wanted to commit all that much time to them. Finally, getting tired of my own lack of decisiveness, I decided I needed a book with a killer opening, the sort of thing that would grip me instantly and defy me to put it down. What I needed was…Stephen King. This strategy worked, at least for a while. I’d seen the hardback edition of Stephen King’s Desperation in an airport bookstore back in 1996 and thought it looked like something I’d want to read. King had been a favorite writer of mine for quite a few years, but I was struck less by his name than by the cover art, which was designed to mesh stylistically with the cover of The Regulators, the hardback Richard Bachman novel that King released around the same time. (The two books are linked, though don’t ask me how.) 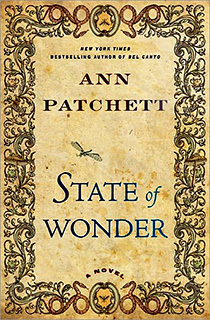 Because I was reading only sporadically during that period, it wound up taking me 15 years to actually pick up the book. All I knew of the book was that it was about a rogue cop terrorizing a small Nevada town called Desperation. That is indeed how it starts and it’s a slam bang opening. King builds suspense from the first pages, playing neatly off that most sweat-inducing of modern fears: fear of seeing a police car in your rearview mirror. I figured King wouldn’t be able to sustain the novel’s momentum, though, and that before long it would go a bit slack, but he sustains it a lot longer than I expected him to. He does this by introducing a fairly large set of characters and giving them lengthy and interesting backstories. In fact, he sustains the story’s momentum very nicely for about the first third of this quite lengthy novel. Alas, it does finally go slack. Once King has his chess pieces in place, the rest plays out as though he has ceased having much fun with the game. He dutifully moves the pieces where they need to go, but the characters seem increasingly lifeless and King’s sense of who they are begins to waver. As in many similar novels, the more the reader learns about what’s really going on, the less interesting the story becomes. Eventually, the story of the rogue cop becomes an apocalyptic fantasy about the battle between two gods, the Judeo-Christian one and an ancient Lovecraftian entity named Tak accidentally released from its tomb under the Nevada desert. The novel rallies a bit in the final third, as King introduces more backstory and finally shows all the cards that he has in his hand, but it never regains the momentum that it had in the first third. Too bad, because the book is a very long slog and about three weeks of my life disappeared into it. Still, I enjoy watching King at work even when he’s nodding a bit, as he is here. For what it’s worth, there’s at least a third of a really good book here. As for my reading in the remainder of this year — I doubt that I’ll come anywhere near the 52 I was shooting for last year and I’m more than a little dubious about even managing 26. The problem at this point is that I have a lot of reading I need to do for my own work, a lot of which will consist of magazine articles and portions of books. And it will be this reading that I’ll be devoting most of my time to. But I’ll keep reporting on the books that I finish, or at least most of them, as I go. Anyone tempted to hold their breath until I file the next of these reports, though, will probably get very blue in the face. Posted in book reviews, books, Desperation, reading, Stephen King and tagged book reviews, books, Desperation, reading, Stephen King. Bookmark the permalink.